Step 1: Marinade. This needs to be done at LEAST 24 hours in advance and up to 48 (maybe 72 would be OK too?) In a zip lock bag, add yoghurt, onion, salt, turmeric, black pepper and garlic. Mix really well. Add chicken and close the bag while trying to get all the air out. Then mix the chicken all around the marinade so it’s well covered. Place in the refrigerator. 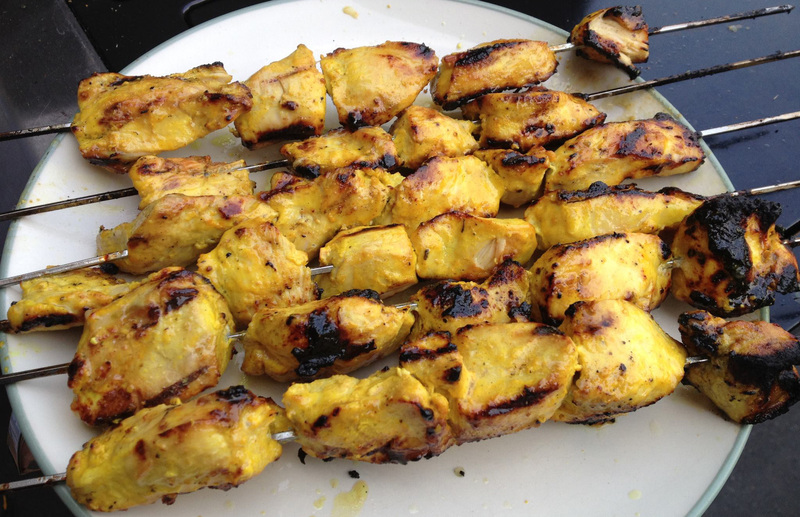 Several times a day pull out the bag and massage, mix around the chicken in the marinade. Step 2: Grill. Remove the chicken from the bag and skewer. Skewer them close together and touching. Discard the marinade. Melt the butter and add lemon juice (about 2 parts butter to 1 part lemon juice). Now grill turning frequently, and after each turn, baste with the lemon/butter mixture. When the chicken is done, pull of the grill and give one more baste with the butter/lemon mix, garnish with cilantro and it’s ready to serve. President and co-owner of DC based design studio, icon werx, inc. Lived in Thailand for 8+ years (2003-2011). Rheumatoid arthritis and quintuple joint replacement patient. 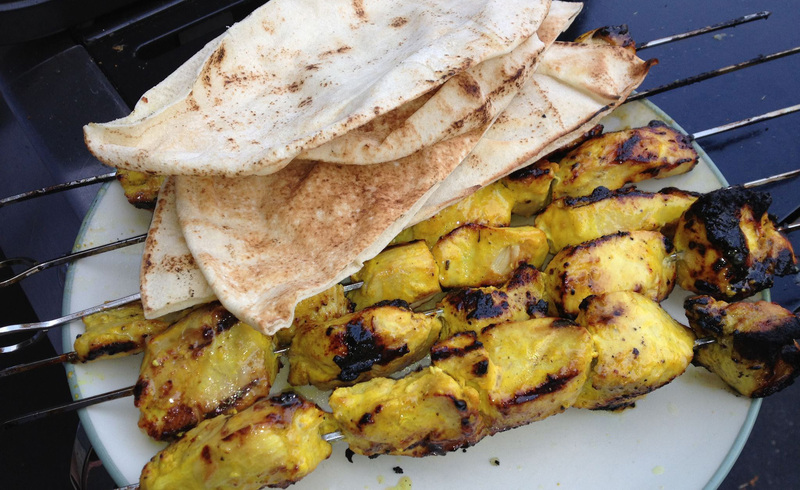 This entry was posted in Chicken, Main Dish, Middle-Eastern and tagged chicken, iranian food, persian food, yoghurt. Bookmark the permalink.